Many of our customers may understand that ASTM A320/A193M is a specification that covers both inch and metric series carbon alloy steel and stainless steel bolting materials. This includes externally threaded bolts, screws, and studs. It is intended to cover alloy and stainless steel bolting material for pressure vessels, valves, flanges, and fittings for LOW temperature service. Bars and wire shall be hot-wrought, and the material may be further processed by center less grinding or by cold drawing. Austentic stainless steel, which is a 300 series stainless, has austenite, which is a a metallic, non-magnetic, allotrope of iron as its primary phase. Such alloys contain chromium, nickel (and sometimes nitrogen and molybdenum) & although they can not be thru hardened, they can be carbide solution treated or carbide solution treated & strain-hardened (which is considered “class2”). We stock a large amount of ASTM A320 ASTM A320 Grade B8M Stud Bolts. 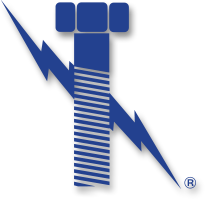 Call or email us Lightning Bolt and Supply today, where our fastener experts can meet all of your fastener needs… Any fasteners / any material. ASTM A320 was specially engineered for LOW temperature performance. These fasteners are commonly used for valves, flanges, fittings, and pressure vessels . ASTM A320 specifications recommend a minimum Charpy impact value all grades except for a few exclusions (listed below). The Charpy impact test determines the total amount of energy that is absorbed by a material during fracture, thereby indicating the material’s notch “toughness”. This test, also known as a pendulum fracture test, dates back to the turn of the 20th century when it was first developed by S. B. Russell and Georges Charpy, and is still used to test high grade fasteners and other products to this day. All austentic stainless steels shall receive a carbide solution treatment which applies to each class. Class 2 materials shall be carbide solution treated by heating for the ambient temperature and holding at a sufficient time at a temperature at which the chromium carbide will go into solution and then cooling at a rate sufficient to prevent the precipitation of the carbide. Why Lightning Bolt ASTM A320 Grade B8M Stud Bolts?